Just past the joyful Holiday decorated storefronts that line the streets are sweet treats that will fill you with cheer this holiday season. From cakes and candies, to chocolates and hot cocoa, you’re sure to find delicious treats to enjoy on a cold Winter’s day or that perfect gift for under the tree. 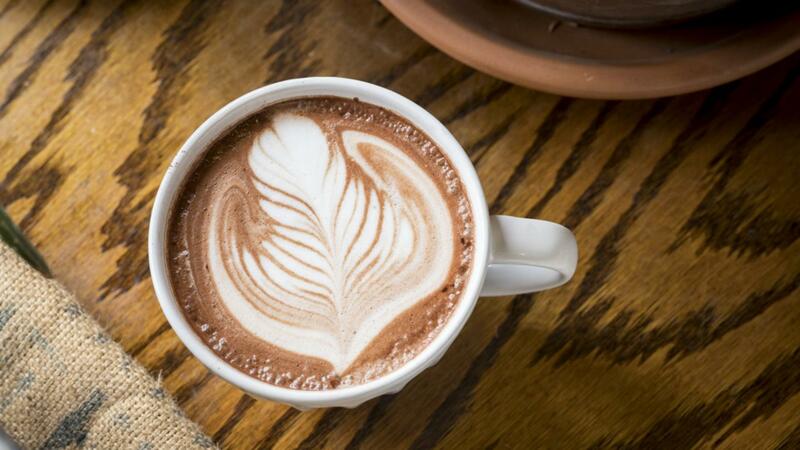 With the snow starting to fall there isn’t anything more perfect than a warm chocolaty cup of hot cocoa. 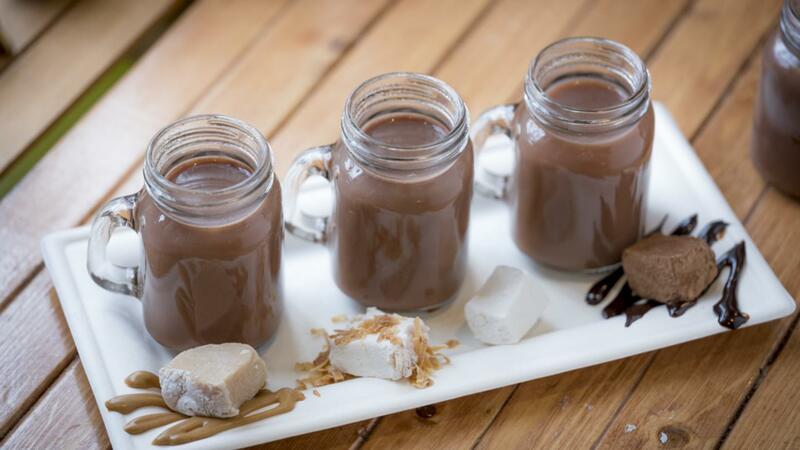 Indulge in a hot cocoa flight at The Source and enjoy four different gourmet hot chocolates each paired with handcrafted marshmallows. While you are there check out their selection of chocolates crafted in-house or try one of their other flight pairings. Soul Full Cup will warm your spirit with their lattes and hot chocolate offerings in a relaxed atmosphere. This time of year it’s all about the baked goods. 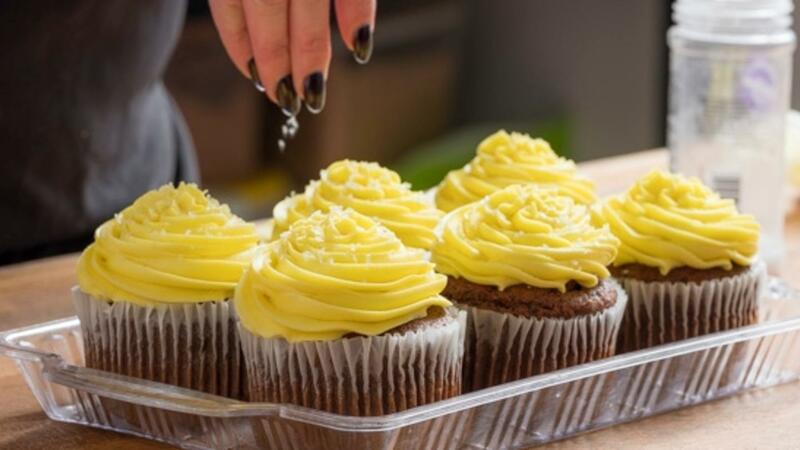 You’ll be charmed walking into a picturesque bakery and looking into the glass case at a wide selection of homemade cakes, scones, cupcakes, and other tasty delights made daily at Poppleton’s Bakery and Cafe. 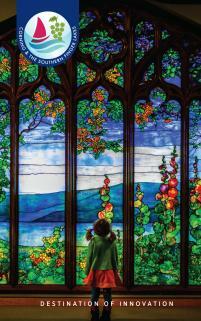 Sit by the window and enjoy your tasty treat while watching the hustle and bustle out on Market Street. 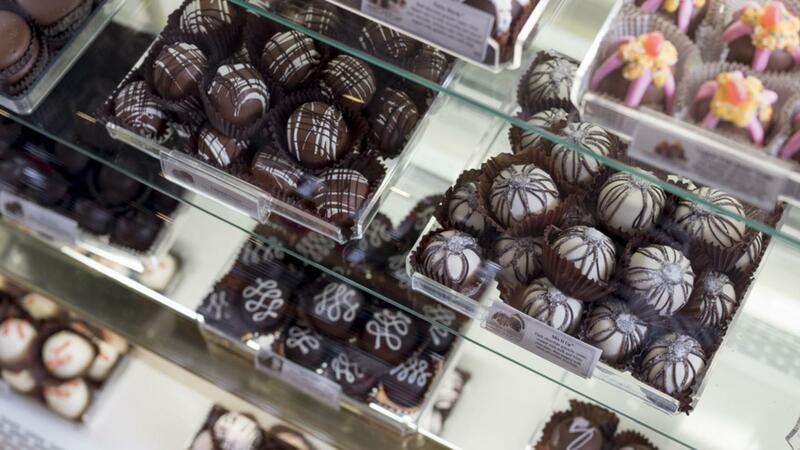 Visit Connors Mercantile and bring home a selection of delicious truffles. The perfect gift for the chocolate lovers in your life, a great addition to any holiday party, or just a sweet treat to enjoy this time of year. Take a stroll down memory lane at Dimitri&apos;s Confectionery Treats. Find nostalgic candy classics from your childhood, as well as todays favorite sweets in their bulk candy selection. 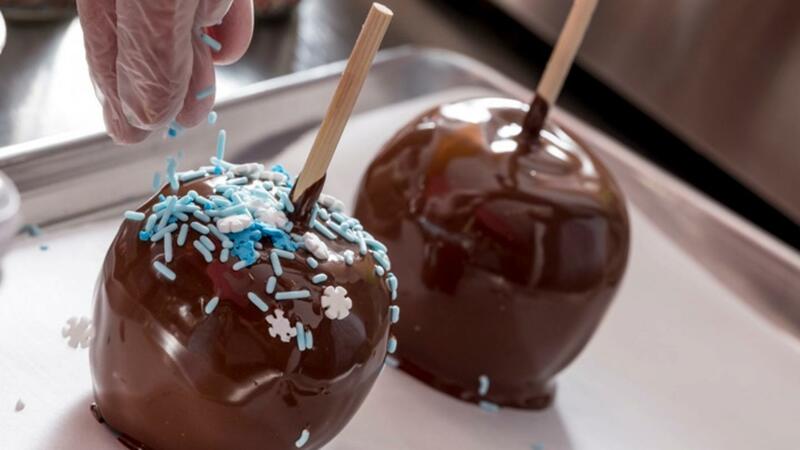 Indulge in freshly dipped store-made Ghirardelli chocolate treats from apples and marshmallows, to rice crispies and cookies, and just about everything in between. Shop other candy and sweet themed gifts or get a gift basket for the candy lover on your list. 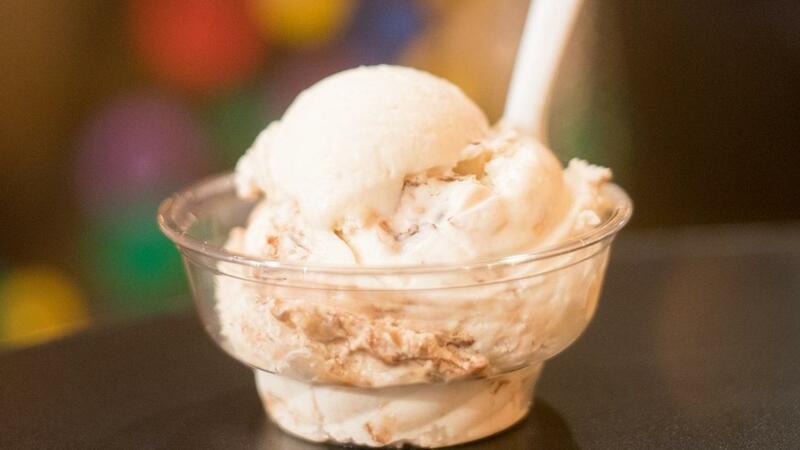 The weather may be cold, but it could be argued there is no wrong time to enjoy ice cream. Especially if it is homemade and comes in seasonal flavors like gingerbread, sugar cookie, and egg nog. For these delicious and fun flavors visit Dippity Do Dahs Homemade Ice Cream. All of these delicious delights are great for the whole family to enjoy but this time of year can get busy and we can’t forget that the adults need some downtime to enjoy too. The chocolate martini at the Steuben Bar at the Radisson Hotel Corning is equal parts delicious and relaxing after a busy day. After a long day of shopping on Market Street enjoy a nice dinner at The Cellar Modern Fusion Restaurant and end with an experience you can’t miss. 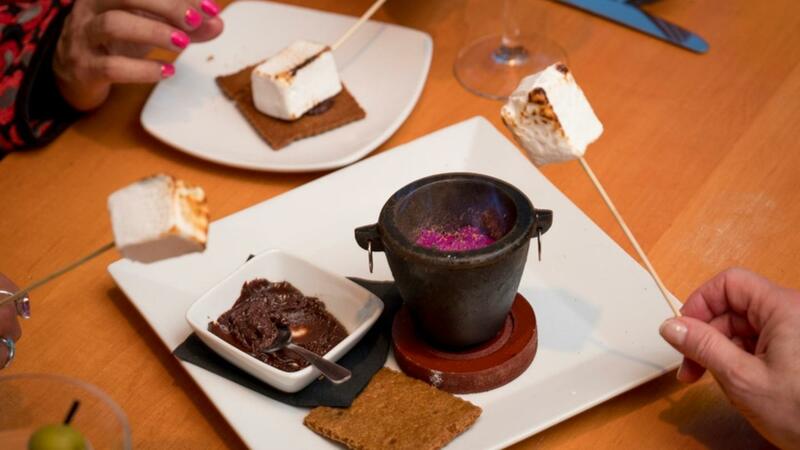 Bring out your inner kid when s&apos;mores are made right at your table. A sweet treat that is fun to make and eat! We invite you to enjoy one sweet holiday this season in Corning and the Southern Finger Lakes and discover the delicious treats that make this the most wonderful time of the year!